Electronic products need special racking systems to be able to hold the weight of the products on display. Therefore it requires a sturdy, reliable and highly durably construction that enables to hold products across various sizes and weights. The display shelving also depends on the products that will be put up for display. Donracks being pioneers in offering a complete racking solution for industrial and retail purposes offers the perfect electronic racking designs that offer an optimal solution for display needs. Electronic display racks come in various sizes and varieties depending on the products on display. 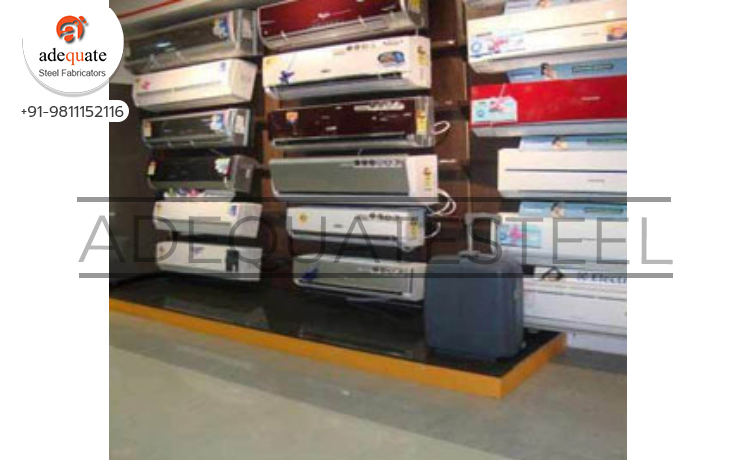 Amongst the various types the most popular ones include; electronics market display racks, appliances display racks, LCD display racks, T.V racks, Split AC racks, laptop display racks, front display counters, slat wall gondolas, podiums, CD/DVD display racks, perforated racks, Double stack racks, etc.